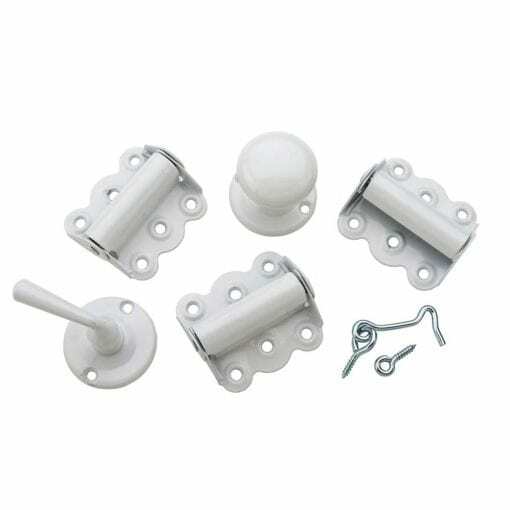 Screen Tight screen door hardware set. Kit contains three 3-inch spring-loaded door hinges, one knob, one lever, hook & eye, and screws needed to install. Available in white, satin nickel or plated brass finish.